LinkedIn is the crux of your career management. If you don’t entice a reader, your chances of being found by a career decision-maker are decreased. Relationship building is key to success in both your business and your personal life. A LinkedIn profile is a contributor to relationship building. First impressions count; lasting impressions last. As I browse LinkedIn profiles to increase my relationship management and connections, and also look for talent on behalf of executive recruiters, I am astounded each day by the standards I see in completion of LinkedIn profiles. Many times, it’s shocking! Here are some simple tips that will take very little of your time but will have a big impact on livening up your LinkedIn profile. LinkedIn doesn’t function correctly with the Google algorithm unless you have a picture in your profile. But not just any picture; it should be a professional photograph of yourself that relays your professionalism within a split second. Don’t use pictures with family members, teddy bears, your recent catch from a fishing trip or a recent evening at the bar. Make sure that your attire is professional looking, you are looking straight into the camera and smiling. Don’t give the impression that you are in a police cell. LinkedIn has, over time, improved its options to increase your visibility. The cover image is an added feature which allows you the opportunity to enhance the impact of your personality even further. You can download stock photographs from many websites for use as this background image. Make sure that whatever picture or design you choose it captures attention and is a good reflection of yourself. You must deliver a psychological impact, both visually and through text. The headline has a maximum of 120 characters, and I consider it to be the most critical part of your profile. It is the first section people will see when they land on your page. This section is also picked up by the LinkedIn search engine which highlights you before anyone clicks on your profile. Make sure it delivers a resounding message based on keywords you would like to be recognized for. This section gives you the opportunity to further entice a viewer to pick up the phone and call you if they are searching for talent or your expertise. Leaving this section blank sends a negative message to the reader. What have you got to hide in your career life? Generally, apart from select government agencies, intelligence and military appointments, which are confidential in nature, you should not hide anything from the reader. It gives you a chance to shine, highlighting your accomplishments and attributes in the top section. It should pique a reader’s interest, encouraging them to read further by clicking the “see more” section. Pack this out to the maximum; fill It with intriguing information about your career and achievements with metrics sprinkled throughout. Don’t give the reader an opportunity to leave your profile thinking you have nothing to offer. You do! This section also affords you the opportunity to describe your company, your unique promise of value, your accomplishments, products and services. This is a Google search-friendly section that must be completed in full. When a career decision-maker is looking for talent, they key in buzz words pertinent to your function, level and industry. If you don’t have those buzz words in your profile, the chances of you being found are dramatically decreased. When completing this section play a game and imagine someone is searching for you on LinkedIn. What keywords would they type to find your profile? You are allowed a maximum of 100 keywords, which is very generous, so max out this section as much as possible. No recommendations, no credibility. This is the message that is instantly sent to someone reading your profile. A perfect scenario in number of recommendations is to have five per job, not per company. So, if you have four job titles at one employer, a perfect scenario would mean that you have 20 recommendations. Who should you include in your recommendations? If possible, try to secure a recommendation from a boss, a person in a lateral position to you and an employee. Back these three up with external recommendations from a vendor/supplier and a client/customer. 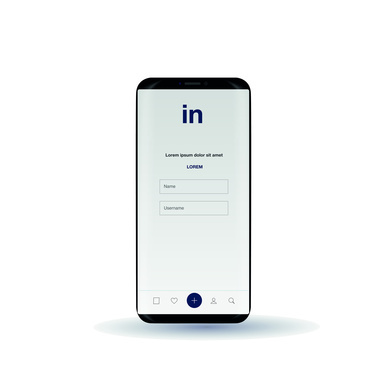 When you first open a LinkedIn account, you are assigned a default URL with letters, numbers, or a combination of the two, after your name. Make this awkward address more professional by removing the numbers or letters. Those persons with uncommon names are lucky to secure their full name, but those with common names must be creative and use middle names or perhaps shorten their name. In wrapping up, be mindful of the fact that failure to be active on LinkedIn, as well as not having a completed profile, portrays to decision-makers a sense of disinterest in your career management. This is your platform to tell your story to advance your career ambitions. Embrace it!